How large was Jasper Alberta's Pronghorn Antelope? Where does the Pronghorn Antelope Live? Wildlife living area: temperate grassland, desert. 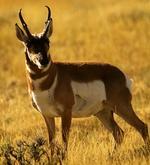 - The pronghorn is found from sea level to 3353m in grassland and desert. Status: endangered. - A 1920 count estimated that fewer than 20,000 pronghorn remained. Conservation attempts and proper range management have increased this number to 500,000 in the United States and Canada, but the Mexican population, victim to poaching and habitat destruction, remains dangerously small. 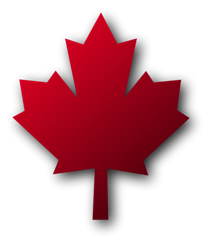 Range: Antilocapra americana occurs from southern Alberta and southern Saskatchewan, Canada through the western United States to Hidalgo, Baja California, and western Sonora, Mexico. © JasperWildlife.com All Rights Reserved.